For me, it’s not strawberries and asparagus that signal the arrival of spring. It’s rhubarb. 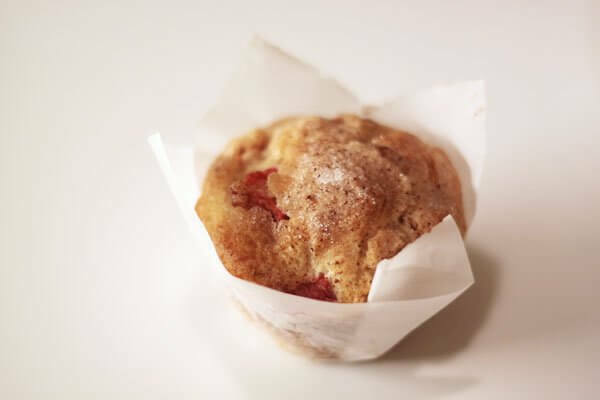 Its tart flavour is nicely highlighted in these muffins… great for breakfast or an afternoon snack. I don’t make muffins often, and every time I do, I tell myself I should do so more often. They come together so easily: Dry ingredients are sifted together and wet ingredients are whisked together. Then these are combined along with the chopped rhubarb. Baking time is short, so gratification comes quickly.